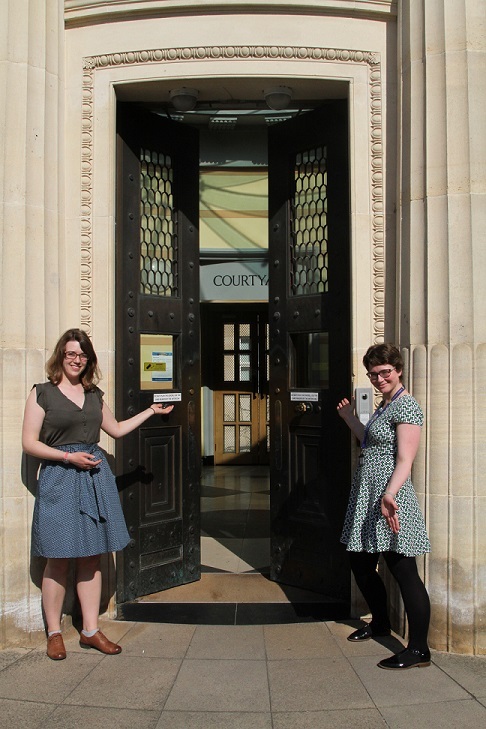 Every year, the Bodleian Libraries takes on around 10 graduates as part of its Library Graduate Trainee Scheme. The scheme provides training and work experience in an academic library setting for those considering a career in libraries or the information-related sector, often with a view to studying a relevant postgraduate qualification. Each trainee is based in one of the Bodleian Libraries for day-to-day work, and attends a weekly training session with the other trainees. The training sessions vary from specific job-related training courses, career talks, or visits to other Bodleian departments or Oxford libraries. There is even a day-trip to London to expand our horizons and escape the Oxford bubble. The Sackler Library is one of the Bodleian Libraries that hosts a trainee every year, and for the academic year 2017-18, I was lucky enough to be that person! Now that my time here is coming to an end, I wanted to reflect on my year and how the role of the trainee fits into the wider work of the library. Right from the start, I have been part of the Reader Services team, gradually becoming fully integrated into this important aspect of Sackler work and life. 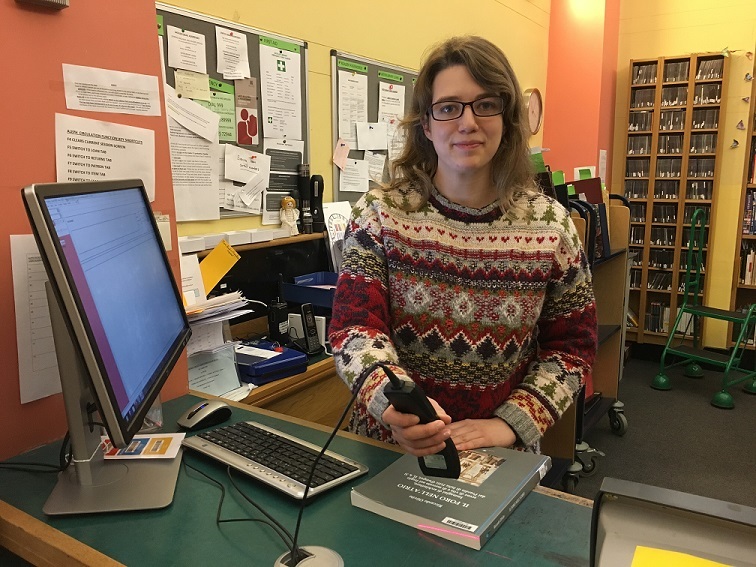 This has meant spending at least a couple of hours every day helping readers to: borrow and return books; locate books in the library; use other library services such as the PCs and scanners; and generally answer any queries. Desk work also involves processing daily deliveries from the offsite storage facility, and sending back books that are due to be returned there. This setup has been an extremely useful way for me to gain essential library experience. Through it, I have come to understand what it is that Oxford library users want and need, and the challenges of trying to meet varying needs, all of which is useful food for thought for future job roles. As desk duty is always done in pairs, it has also proved an invaluable opportunity to learn from supportive, experienced colleagues. Over the course of the year, I have helped develop the trainee role (read: be a guinea pig) by shaping regular trainee responsibilities — such as co-ordinating reading list checking and inter-library loans. These tasks have solidified the trainee role by adding to the long-standing trainee task of dealing with the many books, auction catalogues and exhibition catalogues donated via Ashmolean Museum curatorial staff so they can be added to the collections. Even after nearly a year of weekly collections, I still feel a little thrill when going through the Sackler-Ashmolean ‘magic portal’ door to the museum! One major part of the trainee scheme is the chance to work on a project and present it at the end of the year to the other trainees, supervisors and any other curious Bodleian well-wishers. The trainee project exemplifies how a successful traineeship is mutually beneficial in that the project work is useful to the trainee in terms of gaining experience and skills, and useful to the library in terms of making progress on projects and schemes that haven’t quite made it to fruition in the past. My trainee project involved re-establishing the Sackler Library’s social media presence on Facebook and Twitter, and setting up a blog for the library. I have been working on the blog steadily from partway through Michaelmas Term 2017, and we launched with two posts marking LGBT History month (to read, click here and here). It was a fantastic way for me to get to grips with the fascinating collections in the library and to think about how libraries communicate with their users about new services and important behind-the-scenes work, such as processing new books and conservation. During the year, there have been several new service innovations to promote on the blog and social media, such as Sunday opening hours, the New Books Display, a self-issue machine and height-adjustable desks, all of which make a big difference to readers’ experience of the library. It has also been great for me to see change first-hand and understand the importance of updating library services to reflect changing reader needs. The blog also generated unexpected side projects such as book displays in the library. 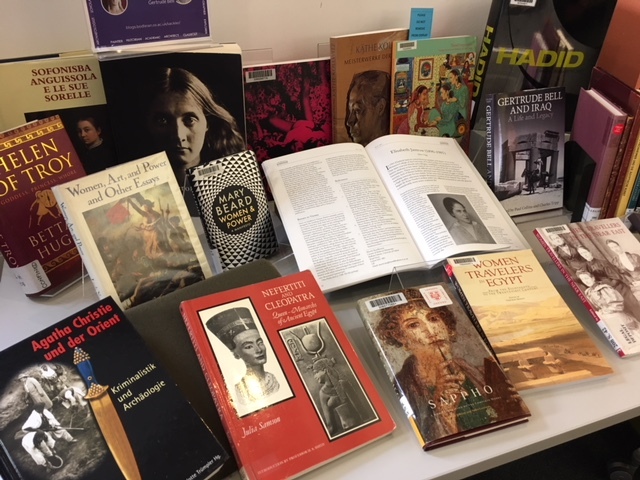 I have enjoyed the process of selecting books on a broad topic, such as International Women’s Day, arranging the physical display, designing the poster and writing a blog post to act as ‘exhibition notes’ as well as a more permanent record of the display (which was itself temporary). Earlier in the summer, we used the display format as an opportunity to bring together staff member’s favourite publications from the Sackler’s collections. The response was even more personal and eye-opening than I had hoped, and the display piqued the interest of staff and readers alike. Producing content for the social media accounts also drew on my creativity and previous experience with photography. 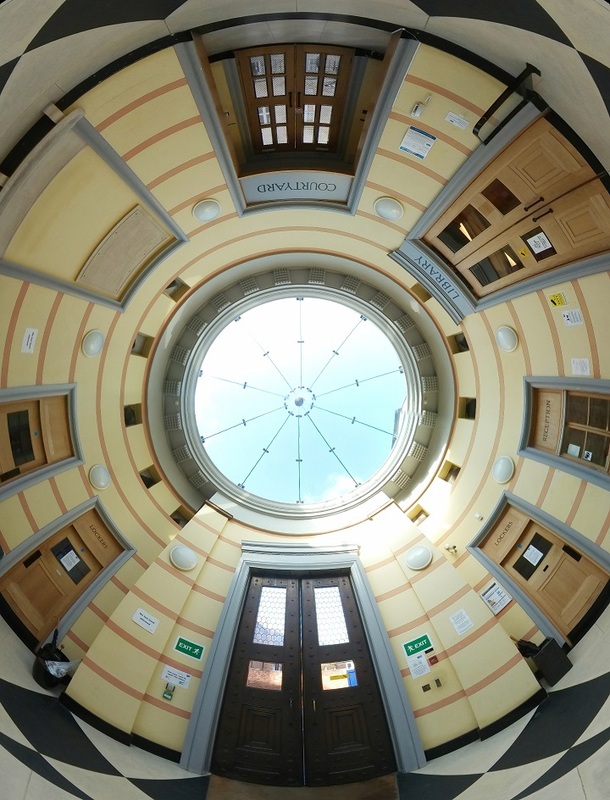 I used the Radcliffe Science Library’s borrowable 360 degrees camera and VR equipment to take more interesting shots of the library, which was a very enjoyable part of my overall project work. Another highlight came in July 2018, when the Sackler welcomed A-level students on the University’s Egyptology and Ancient Near Eastern Studies UNIQ outreach programme’s summer school. The taster academic sessions were run by colleagues in the Griffith Institute, but I had the chance to run a session introducing the Sackler Library and showing off our extensive Special Collections for these subject areas. All in all, I have had a wonderful year where I have learned a lot (there’s always something new and exciting to uncover in the Sackler’s collections), worked with a great team and I hope set up projects and tasks that will carry on in the future. There will always be plenty for new trainees to get involved with and shape their roles, and I wish the incoming trainee good luck as he embarks on his year at the Sackler. The next step for me is an MA in Librarianship, which I am looking forward to starting this autumn. I’ll miss working at the Sackler and I want to thank everybody who has helped make my time here special.